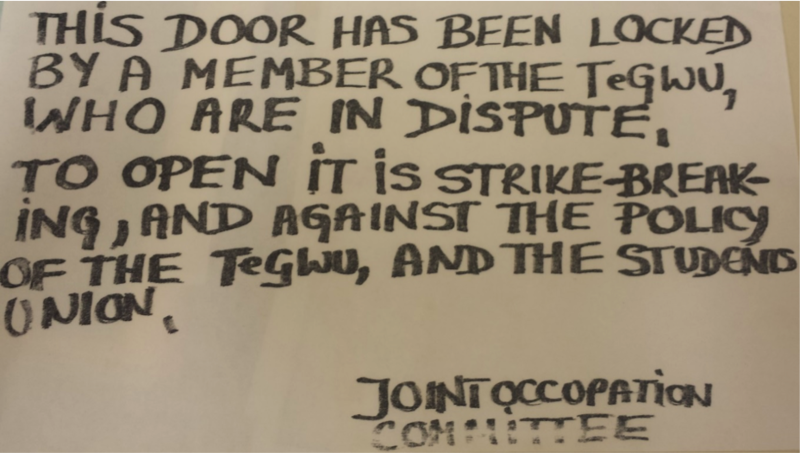 Figure 1: A sign put up on doors locked by porters to deter strike-breaking. 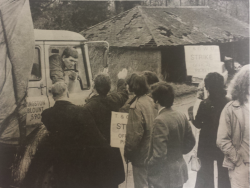 “The first strike in Warwick’s history”  occurred in 1973 demonstrating an astonishing degree of student-staff solidarity. Following a refusal by the University to grant service workers, cleaners, porters and caterers a pay rise, the staff staged a symbolic one-day strike on January 8. The staff were demanding £2.40 an hour, in-line with the recent pay rises of local government workers in the surrounding area, pay rises Warwick had previously promised to match. One Friday on January 19 (Warwick having failed to budge) workers initiated a nine-day strike for the £2.40 under the aegis of the Transport and General Workers’ Union (T&GWU: known as one of the largest general trade unions in the UK). 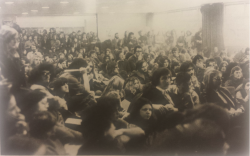 At the immediate request of the T&GWU’s shop stewards (union representatives) a hundred sympathetic Warwick students occupied the entire Rootes Social Building, turning it into a base for student-worker solidarity and organisation of pickets. Solidarity and coordination between students and staff was disciplined and organized: A Joint Worker-Student Occupation Committee was set up, porters locked the doors of campus buildings whilst students joined pickets, blocking delivery vehicles from entering campus. Explaining the reasons for the strike to incoming lorry-drivers, trucks delivering goods necessary for the ordinary functioning of the University were successfully turned away. So effective were the pickets, that a Warwick Business School academic recalled the pickets as “aggressive” in a memoir published in 2014. The pickets were also dangerous – the Worker-Student Occupation Committee claimed that one University secretary tried to run over a student picketer, swerving left and right as the secretary attempted to fling them from the top of the bonnet. The Committee suspected: “it might have been the Administration’s intention to kill one of these workers”. Figure 2: Students and workers persuade lorry drivers to turn back from campus. Despite the tensions at the picket lines– and streams of propaganda released from the University administration – students continued and expanded their efforts, on the 24th of January all-night pickets were organized stopping goods from being smuggled into the campus under the cover of darkness. The Rootes occupation was meticulously organised. Demands for students to provide voluntary child care services for picketing workers went out, and an array of talks were hosted, covering topics ranging from women’s rights to Bloody Sunday. Picketing instructions, (developed in coordination with the T&GWU shop stewards) were issued to all students who wished to join the strikes. Listing some vital goods which were to be allowed onto campus, the instructions stated: “All other supplies to University buildings must be stopped. If we are to reinforce the workers’ actions then we must seriously try to bring the university to a halt”. A mass demonstration was called on the 24th outside the administrative buildings on the East Site (now Gibbet Hill), leaving alone teaching buildings en masse. Academics were also encouraged to hold their seminars and lectures in the occupied Rootes Buildings. There is little doubt that the radical left groups on campus did most of the ‘heavy lifting’ on the student end. 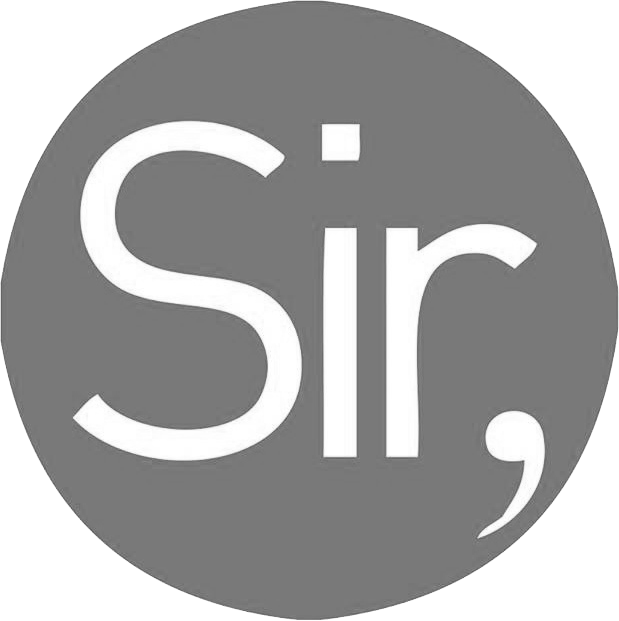 The International Socialists had a growing presence in Coventry and had been active on campus since 1966/7. The International Marxist Group (IMG) and Communist Party also assisted in the solidarity effort. The three organisations however, had a ‘bust-up’ towards the end of the strike, with the Communist Party and the International Socialists leaving the Joint Student-Worker Solidarity Committee over the issue of whether they should be preparing students for an occupation of the Registry building, as the IMG wished to do so. The involvement of these leftist groups incited one reactionary student to write a letter to Campus (the precursor to the Boar) describing the strike as “the non-event of the decade”, and claiming that “the IMG don’t really give a damn about the workers”. 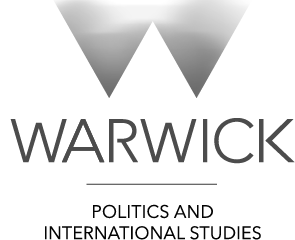 Right-wing response to student activism has been a common feature in Warwick’s political scene ever since the University was founded. Student solidarity with the striking staff was repaid in kind by workers’ unions within a couple of years. In the Spring Term of 1975, Warwick was sent into melt-down as over 1,000 students went on rent strike for five months over a hike in accommodation pricing, and several hundred occupied Senate House for three and a half weeks. During the – largely unsuccessful – rent struggle, the T&GWU passed a motion emphasising their “moral support” for the students’ fight. A valuable lesson lies within this episode in Warwick history: student bodies must support the struggles of workers. This support will pay-off further down the line, as those workers will come out to bolster students’ own struggle at key moments. Cross-sectoral unity, in short, acts as a force-multiplier for all. The 1973 strike, as it turned out, was sadly defeated by the University. Management cleverly called in government mediation, and deflected attention towards the government-imposed national pay-freeze, designed to combat inflationary pressures. Without the support of a nation-wide movement to pressure the government and break the pay-freeze at a national level, Warwick’s workers realised, there was no hope of winning the strike. Figure 3: A Union General Meeting votes to support the strike. The collaboration between influential forces worked against the goals set out by the students and workers – management, business and the state – recurrently have intervened affecting the result of student struggles. The only adequate response is for students and staff to close ranks against them, and expand solidarity horizontally to other campuses and sectors. Currently with increasing precarity of work conditions afflicting university campuses – low-pay, minimal unionisation, zero-hours contracts and outsourcing – the conditions for organising a mass strike movement for better working conditions seem worse today than they were in 1973. Despite this, workers and activists are learning how to navigate new precarious post-industrial employment relations. At SOAS and LSE, cleaning staff struggling for better pay and conditions have won major concessions, supported by vibrant student campaigns. Staff at Picturehouse cinemas across the country have been engaged in impressive battles for the living wage over the course of several years. The recent Deliveroo strikes have been viewed as signalling a new wave of the service sector organising, mirroring similar developments in countries like Indonesia. Rolling back precarity – and its ideological ballast, neo-liberalism – is going to require bottom-up struggle by the working class, supported by other sectors: students, community activists, liberation groups. Students have a role to play in this fight, and as shown by the 1973 strike at Warwick, we can draw on traditions of student-staff solidarity on our very campus. Connor Woodman is a former Editor-in-Chief of the Warwick Globalist, and PPE and History MA graduate.